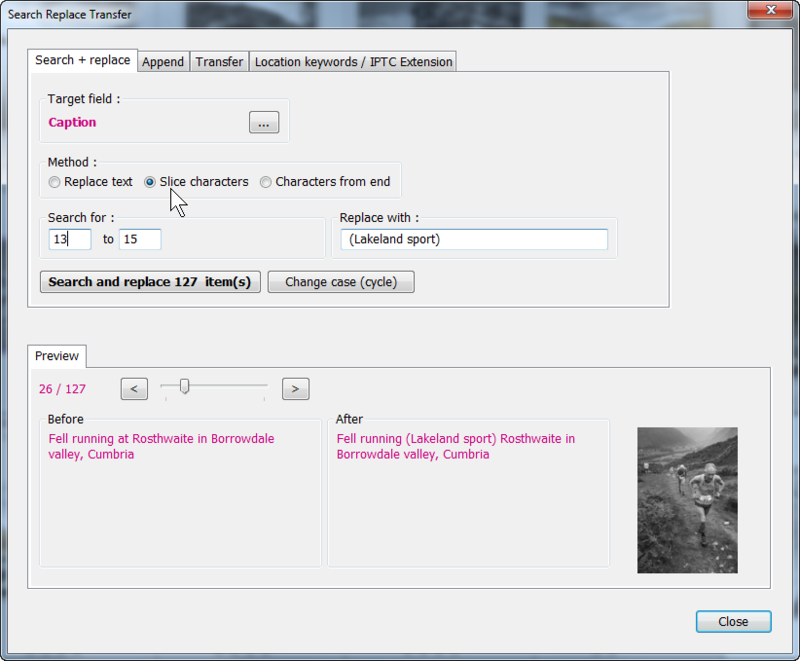 I’ve just released version 1.45 of my Search and Replace plug-in over at Photographer’s Toolbox . This version is a significant upgrade. 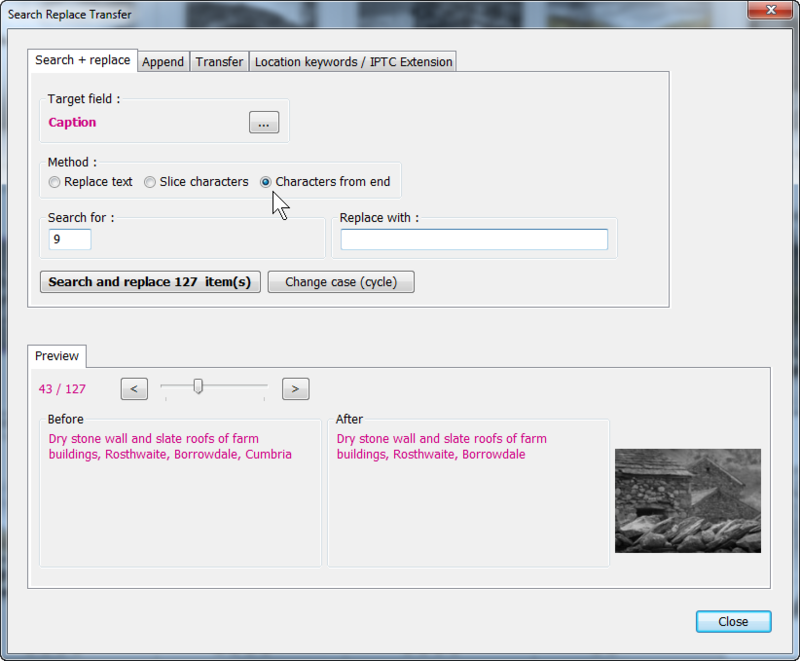 As well as including new Lr5 fields, I’ve updated the layout and added some handy new capabilities. 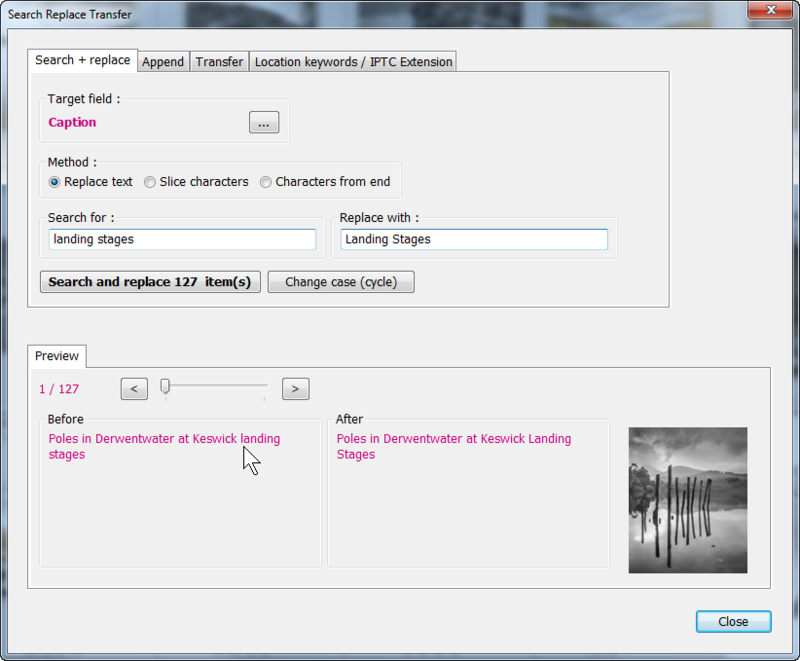 The layout is now clearer and Lr5 users will be able to preview the plug-in’s results next to the affected image. You can now insert text from characters x-y. This looks really useful. Excellent extension of LR capability. 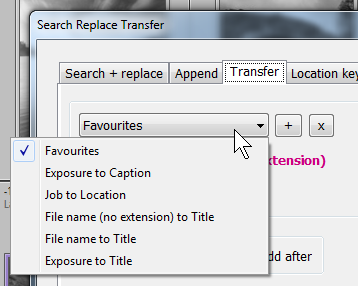 I have been using Search & Replace for years, but I like this newest version best for what I need it to do. I needed a quick, painless way of transferring the file name to the Caption field without the file extension (jpg, dng, …) showing. This way, when I make a slideshow in LR (flash or mp4), only the file name shows up. We think it looks nicer this way. With earlier version, I had to do this with two steps. Now I can do it in one! Thanks. Win7, LR5. Cannot change keywords. Error says “keywordTags” is unknown. Not sure why I would ever use this plugin (my needs are simple, as I typically maintain only the Keywords, and that is very easy to do within box-stock LR5, and more intuitive than your UI). Sorry, but I’ve uninstalled your plugin. You’ve found a bug there, though I didn’t think anyone would want to search and replace within keyword text. I’ll correct that. Your metadata needs probably are basic, as you say, but see here for an example of why it might be used.